Texas Rangers Logo. Courtesy of the Texas Rangers. Image available on the Internet and included in accordance with Title 17 U.S.C. Section 107. Texas Rangers Owner Bob Short, Manager Ted Williams, and Arlington Mayor Tom Vandergriff on Opening Night. Courtesy of the University of Texas at Arlington Libraries. Image available on the Internet and included in accordance with Title 17 U.S.C. Section 107. Arlington Stadium, 1972. Image available on the Internet and included in accordance with Title 17 U.S.C. Section 107. TEXAS RANGERS [BASEBALL CLUB]. The Texas Rangers, a professional baseball club, belong to the Western Division of the American League. Major league baseball came to the Dallas-Fort Worth area in 1972 courtesy of Arlington mayor Tom Vandergriff and franchise owner Robert Short. Vandergriff was able to persuade the entrepreneurial Short to relocate his Washington Senators ballclub to Texas, and the Rangers were born. That 1972 season got off to an ominous start when the scheduled April 6 start was canceled by a player's strike. When the season finally did begin on April 21, only 20,105 fans came out to see the Rangers' first ever victory. Arlington Stadium had the capacity for 35,694 fans, but this turned out to be the second largest crowd of the inaugural season. The great Ted Williams, the Rangers' first manager, could not bear the continuous losing of a 54–100 first season in Texas and stepped down at the end of the year. The 1973 season was even worse as the club suffered through a 57–105 record and went through three managers. The highlight of the season came in June when the first sellout crowd in Arlington Stadium history saw newly drafted eighteen-year-old David Clyde win his debut over the Minnesota Twins. Clyde's career quickly fizzled however, due to his rush to the big leagues purely for box office gain. Billy Martin. Image available on the Internet and included in accordance with Title 17 U.S.C. Section 107. Bobby Valentine. Image available on the Internet and included in accordance with Title 17 U.S.C. Section 107. The 1974 season marked the sale of the club from Short to a group headed by plastics tycoon Bradford G. Corbett. This transfer sparked an upswing on the field, as the club finished with a record of 84–76. This was a twenty-seven game turnaround over the previous year and earned Billy Martin the league's manager of the year award. First baseman Mike Hargrove was named rookie of the year, and outfielder Jeff Burroughs became the third player in major league history to be named a league's most valuable player in his second full season of play. Ferguson Jenkins also won a franchise record and league-leading twenty-five games. The next season was eagerly anticipated. However, the Rangers reverted to previous form, and Martin was fired in mid-season. The 1976 season was more of the same, as the team managed to win only seventy-six games and traded away Burroughs and Jenkins. The bizarre campaign of 1977 was expected to be another season of sub-par Rangers baseball, yet it turned into the franchise's most successful season. 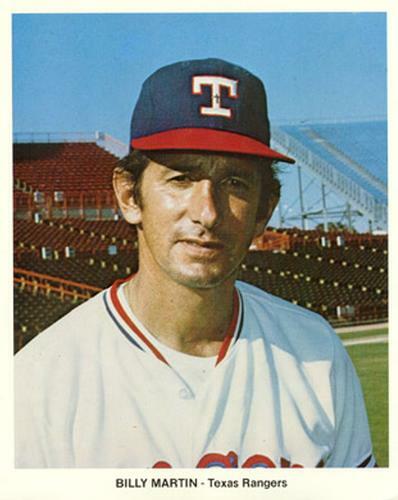 Despite going through four managers, including Eddie Stanky for one game, the Rangers won ninety-four games, finishing second in the division. The club slipped to eighty-seven wins the next season but again finished second in the division. This pattern continued through the strike-shortened 1981 season, with the team having respectable records but never finishing higher than second. By this time, Fort Worth oilman Eddie Chiles had bought the club, and the Rangers plummeted in talent and record throughout the first half of the decade. 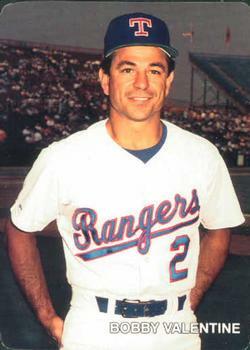 The hiring of manager Bobby Valentine in 1986 saw a brief upswing with his young team of inspired rookies winning eighty-seven games that year. However, the next two years resulted in identical sixth place finishes. 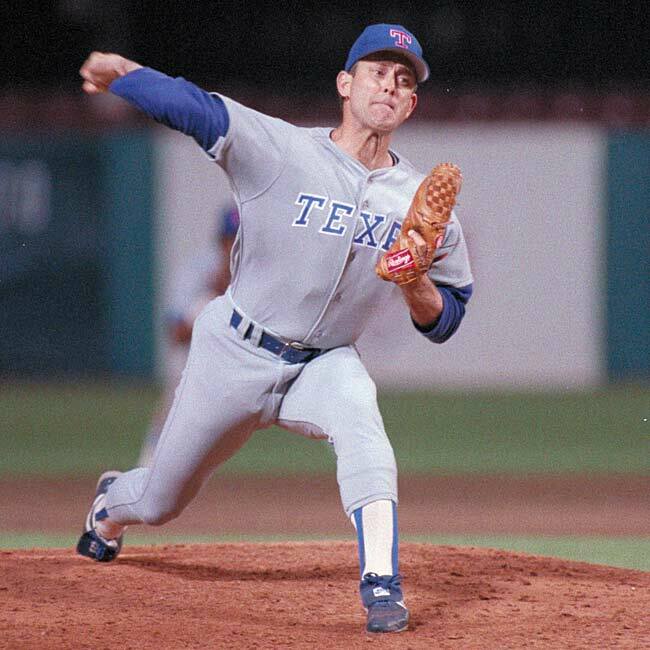 The 1989 season saw the arrival of superstar Nolan Ryan, as well as emerging superstar Ruben Sierra. The club won eighty-three games, and there was renewed hope. A group headed by George W. Bush had purchased the team, and fans were turning out in large numbers. The first half of the 1990s again saw some Rangers success. In 1992 and 1993 Juan Gonzalez won back-to-back league home run titles. 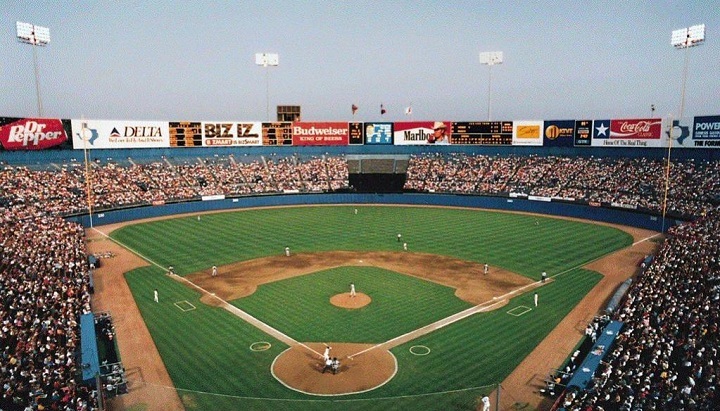 In 1994 the highlight of the franchise's twenty-two year stay in Texas was finally unveiled when the Ballpark in Arlington was opened. Pitcher Kenny Rogers christened the premier ballpark in July of that year with the first perfect game by a left-hander in American League history. The Rangers went on to finish first in their division in 1994, despite a losing record, but the mid-August strike by major league players canceled that year's postseason, and the team's first chance to reach the World Series ended prematurely. Alex Rodriguez. Courtesy of The New York Times. Image available on the Internet and included in accordance with Title 17 U.S.C. Section 107. Under new manager Johnny Oates, the Rangers fell to third in their division in 1995, despite posting a winning record, but went on to win divisional titles in three of the next four seasons (1996, 1998, and 1999). Unfortunately for the team's loyal fans, the Rangers had to play (and lose to) the New York Yankees in the playoffs each time. 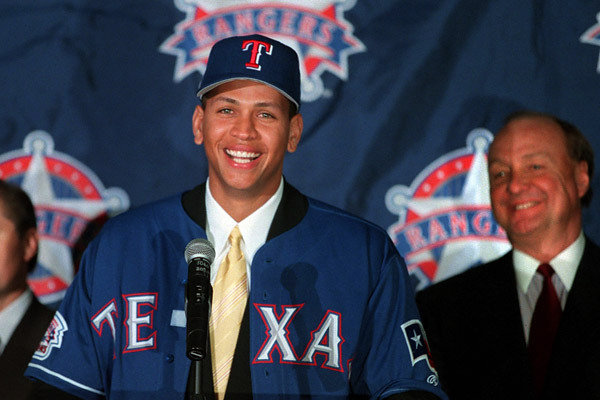 The Rangers fell to fourth place in 2000, as they were unable to compensate for the loss of Gonzalez and pitcher Aaron Sele, who departed as free agents after the 1999 season, and All-Star catcher Ivan Rodriguez, who missed almost half the season with a broken finger. Before the 2001 season, however, owner Tom Hicks sent shock waves through the baseball world when he signed slugging shortstop Alex Rodriguez of the Seattle Mariners, generally considered the best player in the major leagues, to a ten-year, $252 million contract, by far the richest in baseball history. Peter C. Bjarkman, ed., Encyclopedia of Major League Baseball Team Histories: American League (Westport: Meckler, 1990). Handbook of Texas Online, Eric M. Pfeifle, "TEXAS RANGERS [BASEBALL CLUB]," accessed April 19, 2019, http://www.tshaonline.org/handbook/online/articles/xot02. Uploaded on June 15, 2010. Modified on January 20, 2017. Published by the Texas State Historical Association.